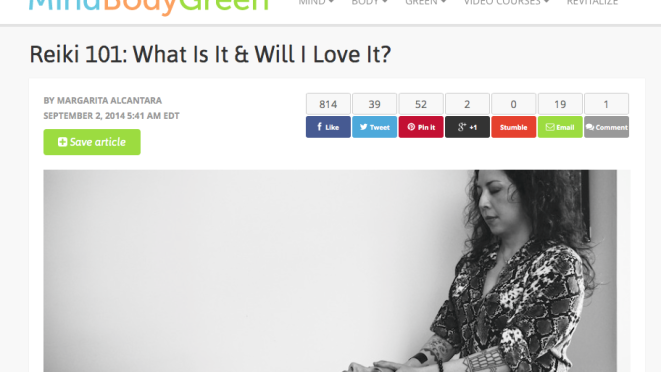 MindBodyGreen published my article today, entitled, “Reiki 101: What Is It & Will I Love It?”. It just went live, and I am thrilled! Mostly because I am an avid reader of MindBodyGreen, and because I have a deep love for the healing modalities that I perform. It also doesn’t hurt that the Gemini in me enjoys connecting with new, and current, readers to share my healing path. Because if Reiki has helped me, and helped my patients, perhaps it can help others, too. Please check out the article, and let me know what you think! 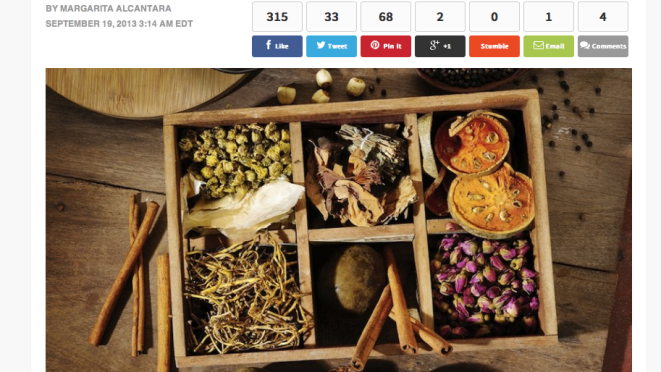 Margarita’s article, 5 Ways Traditional Chinese Medicine Can Help Energize You, was published on MindBodyGreen.com. 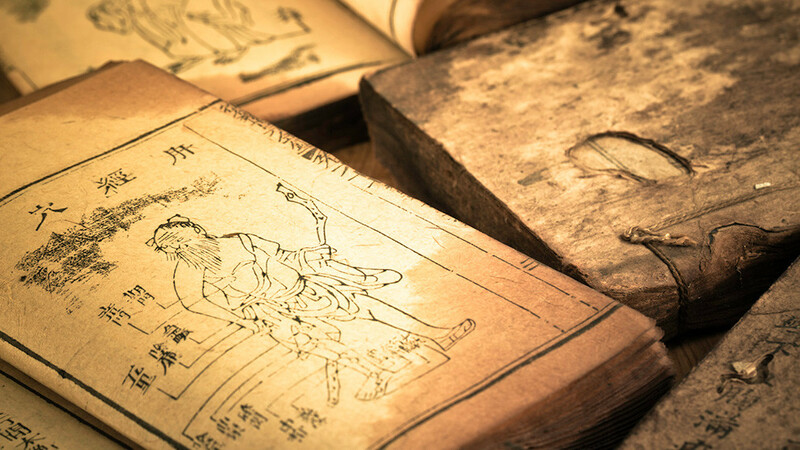 What are five things you can do to harvest your energies with Traditional Chinese Medicine? Check out her article to find out! 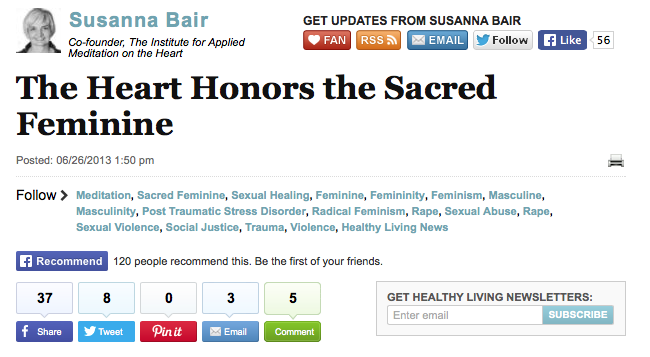 Margarita was a contributor to Susanna Bair’s Huffington Post Healthy Living article, The Heart Honors the Sacred Feminine, which explores the recent increase in gang rapes of girls and young women in our society, and what that means within the context of the sacred feminine. 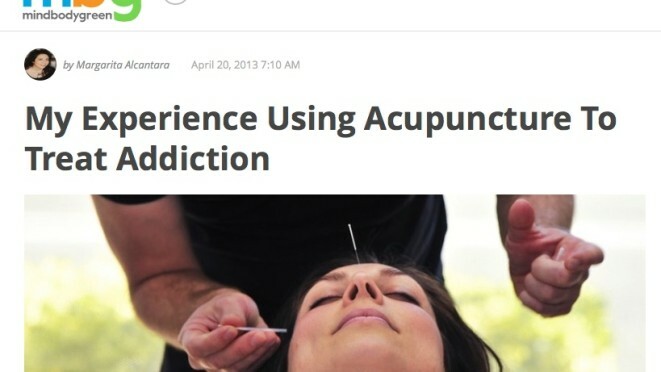 Margarita’s article, My Experience Using Acupuncture To Treat Addiction, was published on MindBodyGreen.com. In it, Margarita shares her expertise in using the 5 ear needle NADA protocol (along with full body Acupuncture and Reiki) to treat a Bronx community recovering from addiction and homelessness, and how it enriched her life to serve at the harm reduction agency. 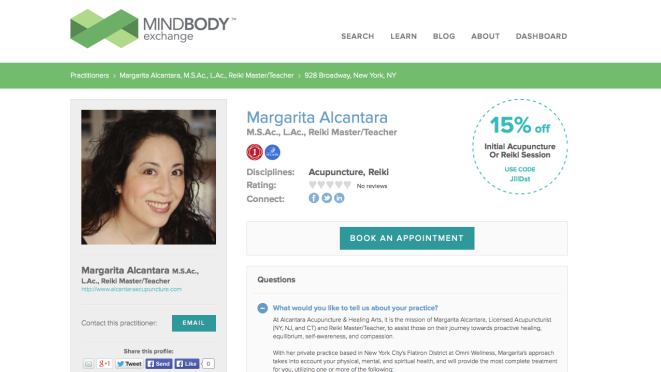 Margarita and her practice were featured on MindBody Exchange’s “In the Spotlight” program via their social media community on Twitter, and Facebook. Check out her profile on MindBody Exchange here. MindBody Exchange is like ZocDoc for alternative and integrative healthcare specialists! 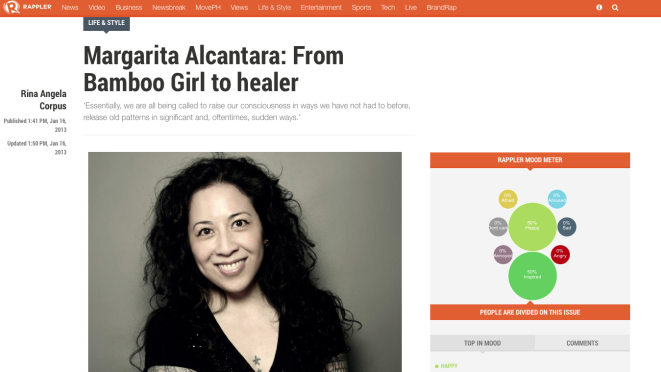 Margarita was featured in the Rappler article, Margarita Alcantara: From Bamboo Girl to Healer. Her journey from underground zinester/community activist to Acupuncturist/Reiki healer is explored. Rappler is a social news network based in the Philippines, where stories inspire community engagement and digitally fueled actions for social change.